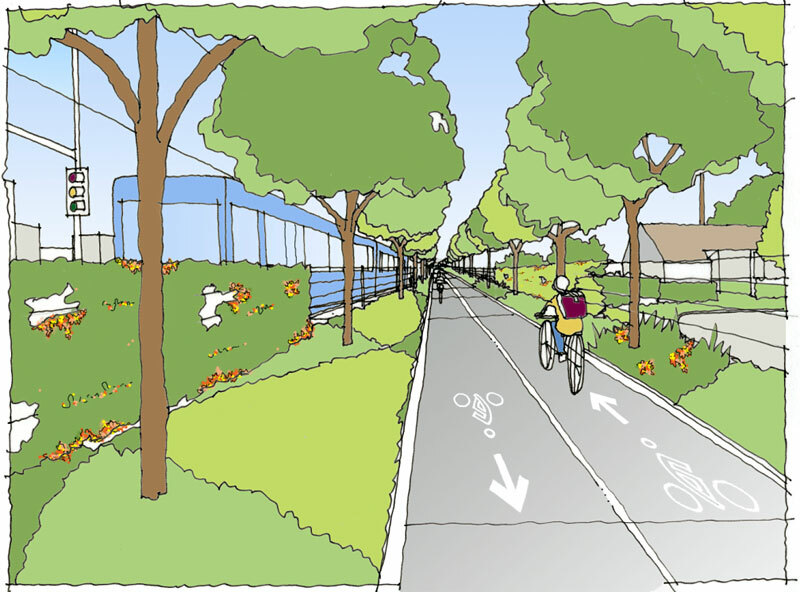 The Expo Line's transit parkway plan calls for a park and bikeway along the light rail tracks on the 50 to 100-foot-wide right-of-way. 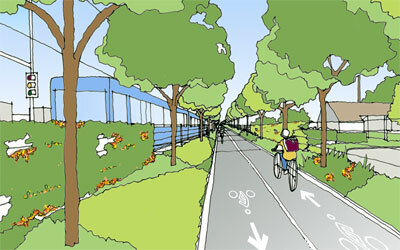 This concept sketch shows the north side of National Blvd. in Culver City. Good design helps light rail complement its neighborhoods. 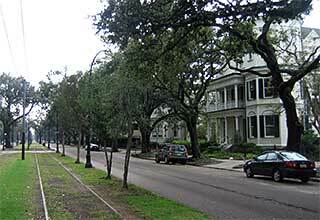 Left is the historic St. Charles line passing grand 19th-century houses in New Orleans' Garden District. Right is an inspiration from Innsbruck, Austria. Access to rail transit enhances property values, as demonstrated by these owners highlighting it. Neighborhoods with rail access will become uniquely valuable as an alternative to auto gridlock. 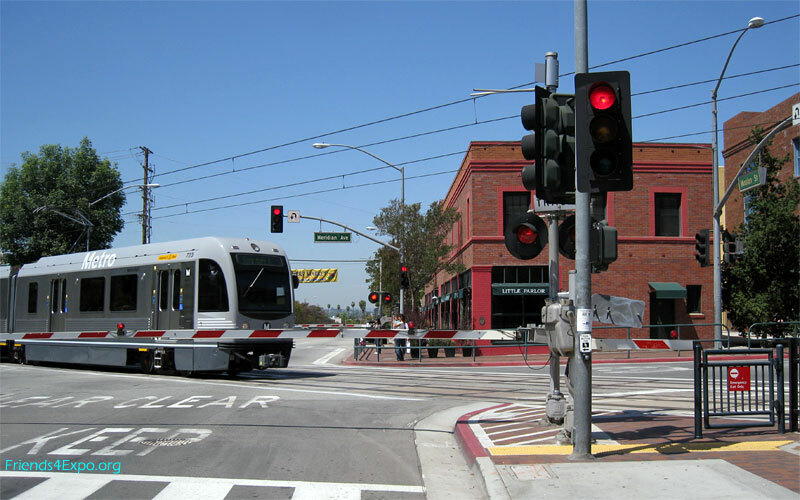 This crossing at Mission Street in South Pasadena shows its safety features, including quad gates and pedestrian gates, that brought the Gold Line's excellent safety record of zero accidental deaths (two suicides) in over seven years of operation. This includes Glenarm Street where students from Pasadena's nearby Blair IB (middle and high) School cross it daily. Planning for safety of school children is particularly important for the schools the Expo Line passes. Phase 1 includes Foshay Middle School and Dorsey High in Los Angeles, and Turning Point School in Culver City. Phase 2 includes Overland Avenue Elementary Schools in Los Angeles, and Crossroads School in Santa Monica. As a good example, though, not only is the light rail line not a problem behind Long Beach's Los Cerritos School, it gives the benefit of taking school children on field trips by train. Quiet is very important. We're massively impacted by boulevard and freeway noise today. 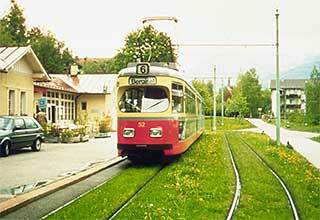 The environmental process requires noise mitigation for light rail when needed. The best way to evaluate the sound of light rail is to listen for yourself  visit, say, the Gold Line in South Pasadena (video above at Indiana Avenue; click on HD and full screen for the best view), and compare the sound of an electric train passing to cars driving on the street and background traffic noise.